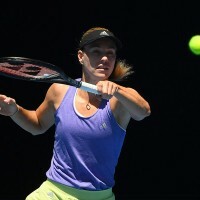 Former champion Angelique Kerber was on song in her return to Rod Laver Arena on Monday, as the No.2 seed opened her Australian Open campaign with a 6-2, 6-2 win over Slovenia’s Polona Hercog. Never losing serve in one hour and 12 minutes, Kerber saved all four break point opportunities she faced and scored her fifth win over the Slovenian No.3 in seven meetings dating back over a decade. Despite only hitting eight winners in the match, Kerber’s deft counterpunching extended a multitude of rallies in the match, with Hercog unable to overcome her total of 41 unforced errors. 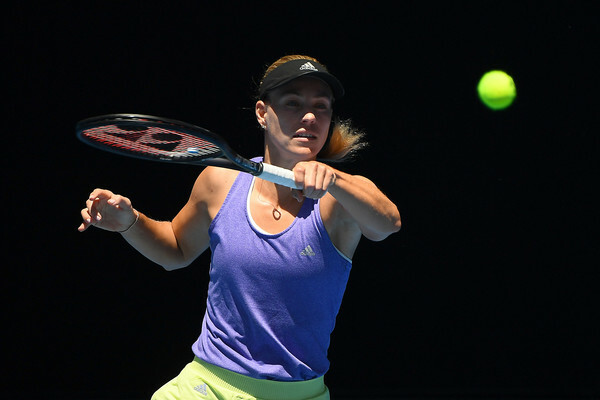 After the World No.92 held to begin the match, Kerber settled in quickly and ran off five straight games to take firm command of the opening round ecounter. Hercog’s window to get back in the first set came and went in the fourth game, as Kerber snuffed out the lone break point opportunity the Slovenian created for herself, and the German held with ease to put herself one set ahead. The second set unfolded in similar fashion, with an early break stamping Kerber’s authority on the match, and she added late insurance with a stretch of eight points out of 10 to lead 4-1. The German needed to dig deep to keep her perfect serving record in tact in the ensuing game, as she was forced to save three break points before eventually hanging on to move one game away from victory, and end Hercog’s hope of working her way into the match. Brazilian qualifier Beatriz Haddad Maia awaits the German in the second round, after she needed nearly two-and-a-half hours to oust American Bernarda Pera, 6-3, 5-7, 6-4.